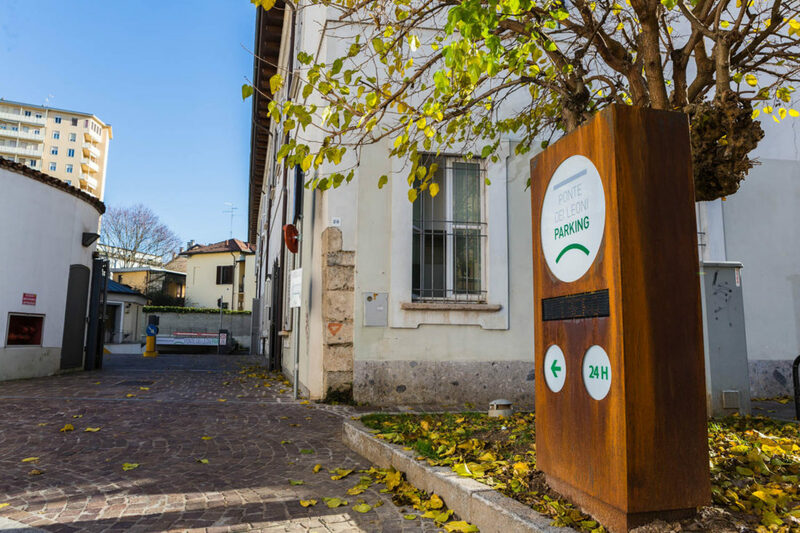 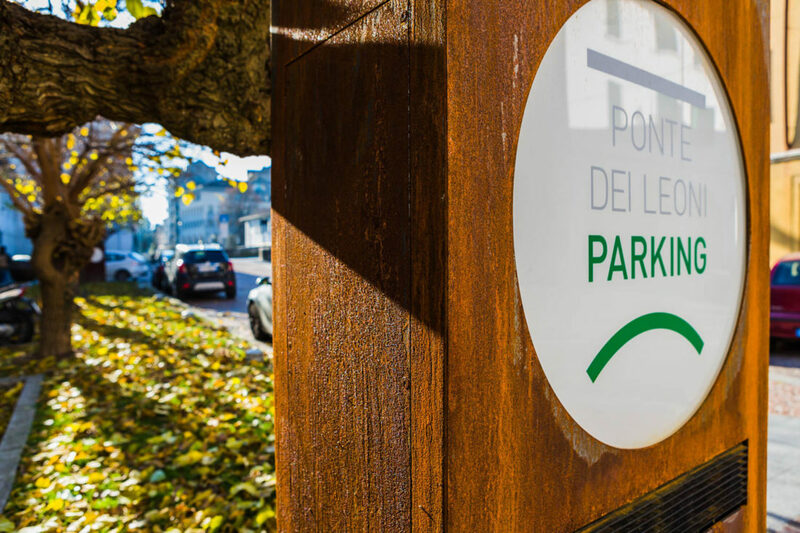 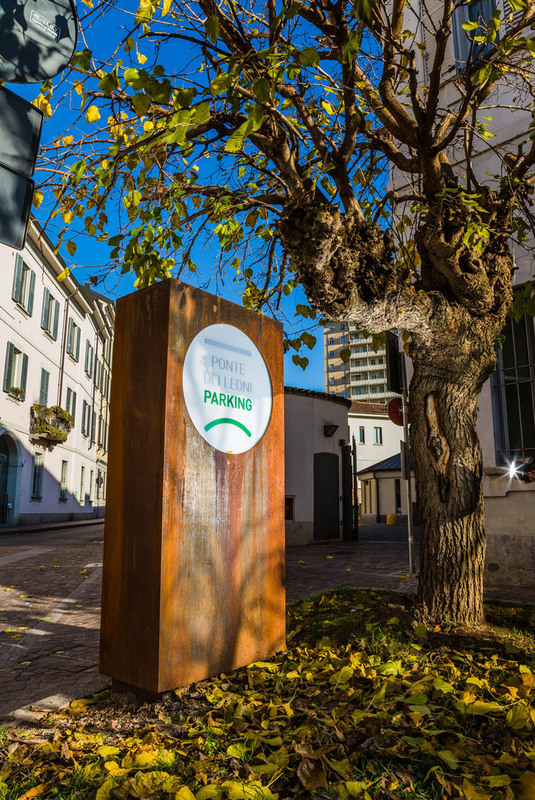 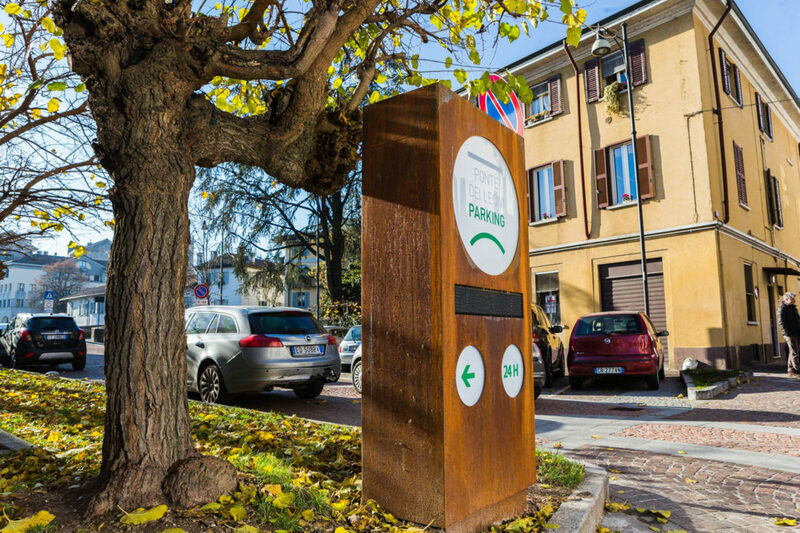 With particular attention in keeping the historical context of Via Gerardo dei Tintori in Monza, the signaling totem highlights the entrance to the Ponte dei Leoni Parking. 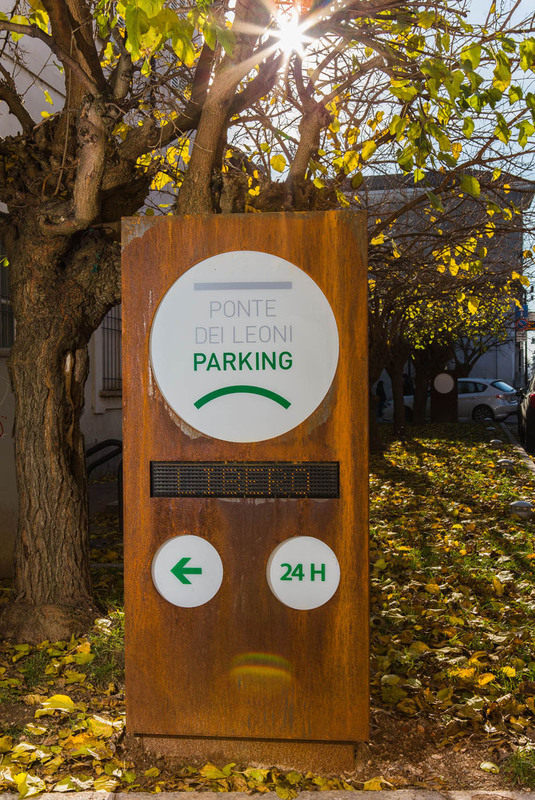 Backlit graphics panels and a LED display are the characteristic features of this two-sided design object, studied in detail in both executive and technical drawings. 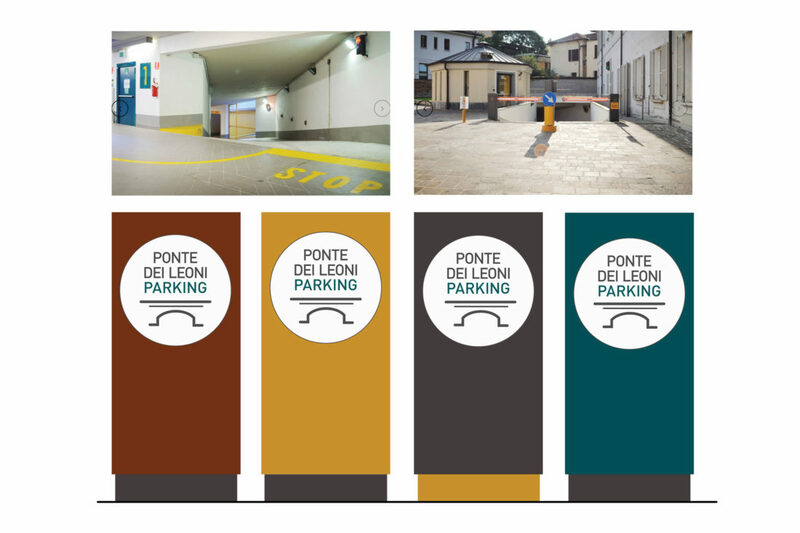 The particular corten finish denotes the modern character and, at the same time, consistent with the context of the surrounding environment, constituting an element of continuity between past and present.